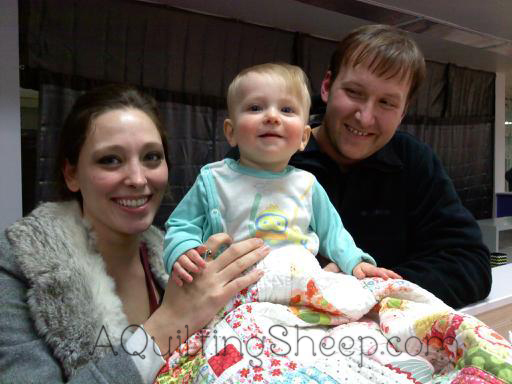 A Quilting Sheep: More Smiles!! So glad she is healthy now. Prayers helped. How sweet, I'm glad she is feeling better! Such a beautiful quilt! Glad she's doing better! To God go all the praise and glory. He is faithful, He is good, He is awesome. Bless you for blessing them........and thank God for happy smiles ! You are such a blessing and an Angel,and God seems to put you in the right place at the right time. Beautiful quilts. So glad she's doing better! 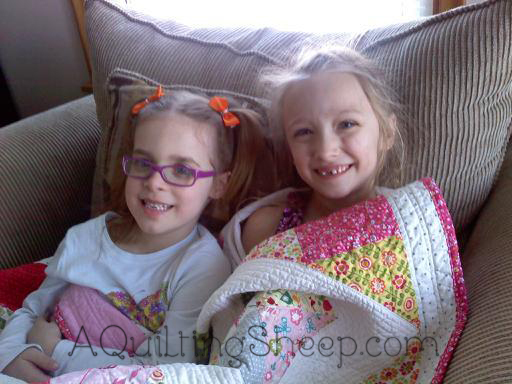 Both little girls will cherish their quilts for life, I'm sure. What a nice way to wrap someone in love and prayer! As I read this post I feel a warmth spread through my body of pure happiness. You are an angel on earth. Beautiful smile, and such a lovely story. 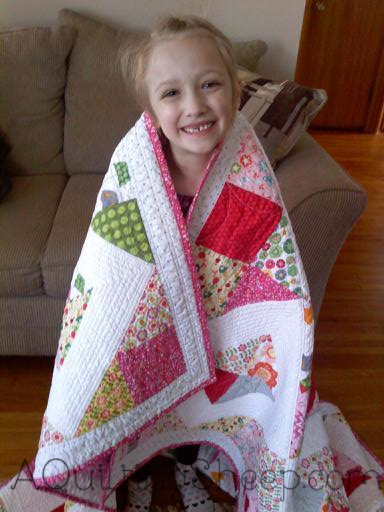 That quilt will keep her wrapped in prayer for years. Beautiful quilt, filled with love and prayers! Warms my heart to see those pictures! The prayers, hopes and good wishes stitched into those quilts will continue to be a blessing for the girls and their families for years! Thank you for sharing their journey and their joy! What sweet quilts and treasures. I am so glad she is doing much better.